In the last week of October many were seeing to their pumpkins and making Halloween preparations, while Spacebit Capital was making history. The company took one greater leap for crypto when it launched the world’s first Venture Capital (VC) crypto fund for the space sector. The news broke during the World Investment Forum in Geneva on Oct. 25. According to founder Pavlo Tanasyuk, Spacebit Capital primarily plans to invest in commercially viable early-stage hardware start-ups and space-related Internet Protocol (IP) intensive companies for near Earth and lunar applications. It will also predominately invest in the downstream, software segment and commercial satellite communications applications, with a particular focus on those incorporating blockchain. But just what does this mean for the space industry? And, in turn, what does this then mean for humankind? Described as “tokenizing” the final frontier, what could Spacebit Capital’s crypto fund do beyond supporting space-related businesses that have achieved early market validation? If Spacebit Capital has “a clear roadmap” and its crypto fund is a “pipeline of space projects” that realize greater achievements made in space, then this can be considered an accomplishment for humankind. However, there is more at stake than an intellectual appreciation of space applications and exploration. Because of satellite’s ability to ubiquitously and efficiently transfer data, it is a key enabler of the new commercial opportunities and social developments that are brought about by the Internet of Things (IOT), smart cities, and the digitization of agriculture, transport, and maritime — all markets that enabled by satellite. Therefore, the tokenization of satellite communications is a significant boost to the economy of the future. This is on top of forming a new global space economy, explained Tanasyuk. 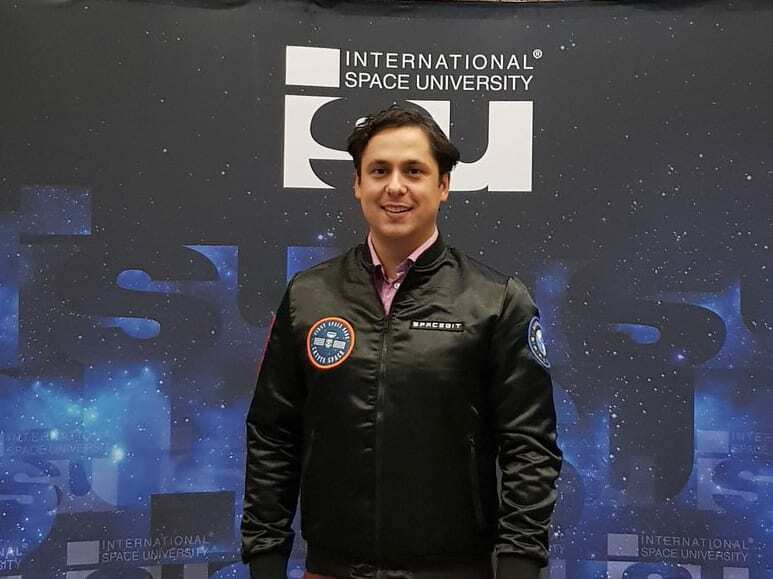 “We hope to stimulate innovation and space commercialization, allowing people from all over the world to participate in and take benefit from the exploration and commercialization of space through the formation of a new tokenized space economy,” said Tanasyuk. “Our world is governed by different forms of assets. We all use currency and pay bills, and a lot of us have ownership of a house, car, or other assets stored on some kind of ledger. At Spacebit Capital, we believe that everything will one day be tokenized, meaning that every asset will have its own digital entity in the form of a token. Due to its digital nature, tokens can be stored, traded, or exchanged in a fast and secure manner. Hence, in the future, this will help to create new security asset classes that will be traded on regulated exchanges. Moreover, it opens new possibilities and economic models in Machine-to-Machine (M2M) and human-machine interactions, where utility tokens can help to improve economic models around Global Positioning System (GPS), communications or even Moon data,” he said. Worldwide trade and investments will only go to the next level with a corresponding legal framework, one that allows qualified investors from almost anywhere in the world to invest in space-related start-ups — and this is a challenge, said Tanasyuk. But getting this right will increase the development of life on Earth and open unique possibilities for humanity outside of our planet, he said. “We also have to run rigorous Anti Money Laundering (AML) and Know Your Customer (KYC) procedures to ensure we know where the money is coming from,” said Tanasyuk, adding that Spacebit Capital is taking a step-by-step approach toward achieving this tokenization, starting with a more traditional VC structure and moving forward to unleash the full potential of blockchain and Distributed Ledger Technology (DLT) in its business processes. “The structure will be very similar to a usual VC fund, but the majority of funds will be sourced from investors within the crypto community. The fund itself and its investments will be tokenized and with funds raised in stages, with a first closure stage of $20 million,” he said. As pioneers of crypto capital for the space industry, Spacebit Capital intends to begin with European companies, particularly ones based in the U.K. and those residing in or moving to Luxembourg. However, Spacebit Capital is still evaluating the legal framework for some of those investments and looking for local partners. Its goal, adds Tanasyuk, is to provide an investment vehicle which will allow companies from any jurisdiction to invest in space companies. To begin, Luxembourg and European Space Angels are partnering with Spacebit Capital for co-investments. Spacebit Capital is also partnering with Moon Village Association, founded by the European Space Agency (ESA) Director General, a partnership that is set to be revealed in Los Angeles on Nov. 4 in attendance with NASA officials, including an Apollo astronaut who will become a board member. For its secondary investments, Spacebit Capital will target enabling technologies including propulsion, robotics, and remote sensing which are required for the upcoming generation of space missions.